This magical spice is one of the best foods (or supplements) you can consume for your health. Turmeric is a plant that is common in South Asia, particularly India where it is widely used in the production of spices, and is the key ingredient in curry powder that gives the powder its yellow shade. The spice is also known for its medicinal properties and has been used in India for centuries as a natural remedy for a multitude of ailments. It is often referred to as the “Queen of Spices”. Cancer: It can prevent certain cancers such as breast cancer and prostate cancer. Burns and cuts: It’s natural antiseptic agent and it is used externally on cuts and burns in India. Digestive disorders: It can be helpful in treating digestive disorders. Liver diseases: It can protect you against liver diseases. Cholesterol: It can help to reduce your cholesterol levels. Arthritis: It can protect you against Arthritis. Eye inflammations: It can be helpful in treating eye inflammations. Inflammatory skin conditions: Turmeric can also be helpful in treating in inflammatory skin conditions. 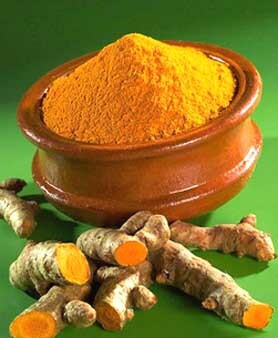 Depression: Chinese use Turmeric to treat depression. Alzheimer’s Disease : When paired with vitamin D, it may help protect against Alzheimer’s disease.